Your Newscoop system administrator may have already created a publication for you. To create a new publication, click Content on the main navigation menu, and then click Publications from the sub-menu. On the Publication List page that appears, click Add new publication. 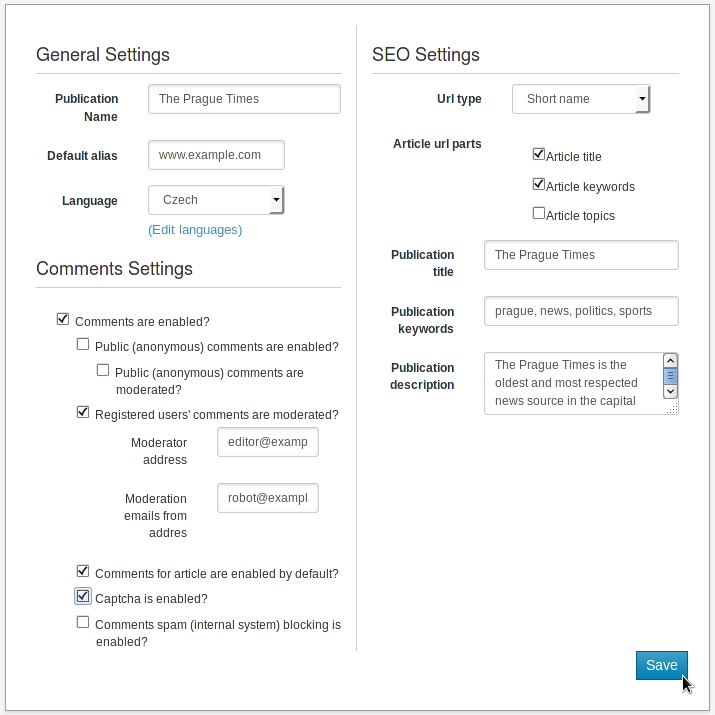 The Add new publication window has three parts; General Settings and Comments Settings on the left, and SEO Settings on the right. There's a Save button beneath. Edit Languages is a link to the Languages page of the Newscoop administration interface, which enables you to configure the choices available in the drop-down menu above. Comments for article are enabled by default? If you check this box, then article comments for any new article will default to "enabled"
Comments spam (internal system) blocking is enabled? Check this box to activate Newscoop's internal anti-spam system. Publication title, Publication keywords and Publication description can be chosen and adjusted for the best possible search engine results. 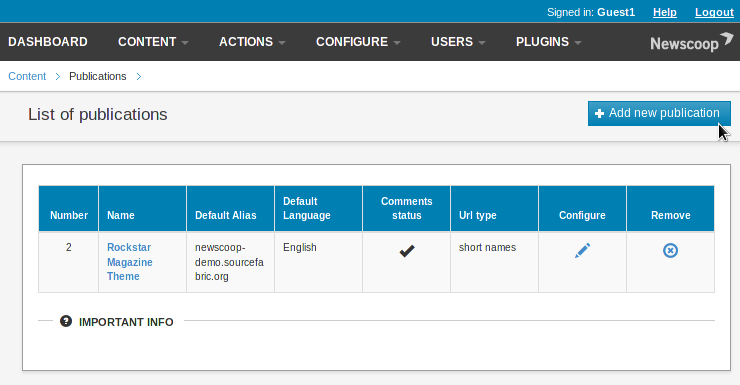 After clicking the Save button, Newscoop will confirm that the new publication has been created. You can return to the publication configuration page at any time by clicking the Configure icon (a pencil) in the Publication List.